If you break the rules, I'm forced to close the swimming pool to you. Thank you for understanding: Ruth Thomann"
Wow, more blatant anti-Semitism in Europe. What a darn shame that after only 72 years since Hitler (may his evil name be erased) that this disgusting hatred of Jews rears its ugly head again. - What killing 6,000,000 Jews in the Holocaust wasn't enough for you??? - Or maybe you preferred the blood libels, pogroms, Crusades, Spanish Inquisition, auto-da-fe, and expulsions of Jews??? 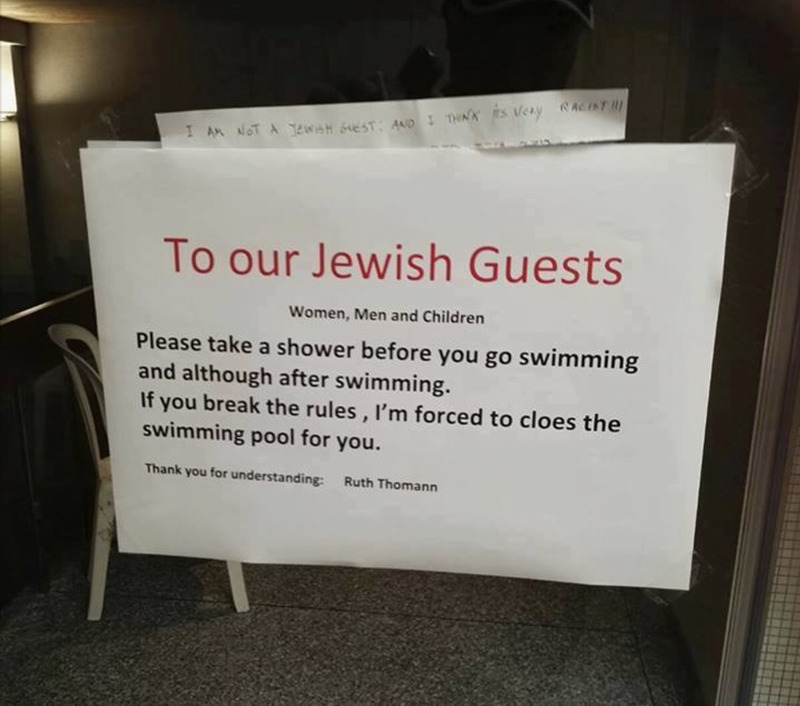 Good people of Europe and their elected governments: Please speak out and shut down this sick, hateful hotel establishment. Do you believe in G-d? Do you think he's watching what you do now? Europe and the rest of the world--wake up and cure what ails you--it's not the Jews, but the evil in your bigoted hearts.